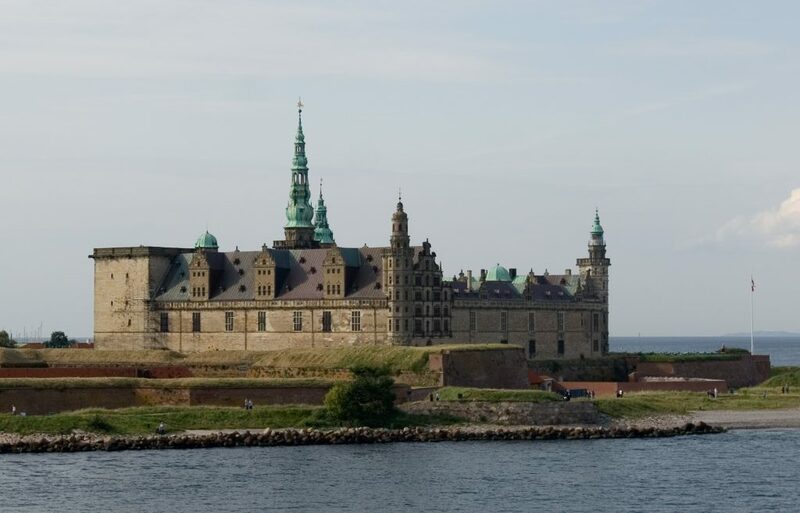 Denmark has a very long and colorful history. The region was inhabited as early as 10,000 BC by hunters and fishermen and continued to flourish when farming was introduced around 4,000 BC. The earliest inscriptions date back to 200 AD and the earliest known trading settlements of Hedeby and Ribe date from the 8th Century. 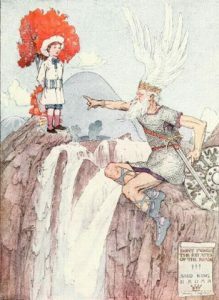 The Viking Age lasted from the 8th to 11th Centuries, during which time the Danes, united to one kingdom in the 10th Century, became notorious raiders. 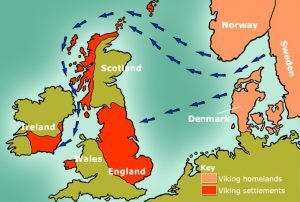 The Vikings are famous for their long sea voyages across the Atlantic leading to settlements in places such as Greenland, Iceland and the Easternmost parts of the North American coastline. But on the European side of the Atlantic, their raids and activities reached as far as the Mediterranean and Central Asia. converted. In the year 1002, however, King Ethelred the Unready of England ordered a massacre of the Danish settlers. 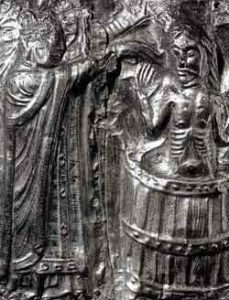 In 1013, Danish King Sweyn Forkbeard drove out the English King in retaliation and became King of England, only to die one year later, allowing Ethelred the Unready to return to power. He didn’t last very long either and passed the throne on to his son Edmund Ironside. 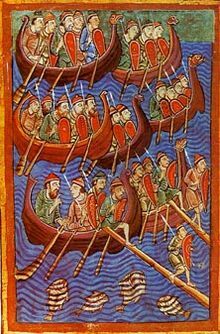 Shortly afterward, Edmund was defeated in battle by Canute the Great, son of Sweyn Forkbeard. In 1016, Canute became ruler over a vast empire that included all of England, Denmark, Norway and parts of Sweden. The power struggle with England was to continue for many years afterward. 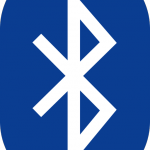 Bluetooth Logo. The symbol refers to the letters HB. In the 12th century, the Danes went on to conquer parts of Germany and even Estonia, which they then sold when money became tight in 1346. Shortly after that, the Black Death, which spread across all of Europe killed about a third of the population in 1349 and 1350. In the year 1397, Denmark, Norway and Sweden united as the Union of Kalmar under King Erik and Copenhagen became capitol in 1443. This union lasted for about 125 years, but was affected by continuing struggles and rivalries between the Danes and the Swedes. In 1523, The Swedes separated permanently, declaring their independence and electing King Gustav. Norway remained attached to Denmark. The Danes continued to engage in conflict with Sweden but were unsuccessful in every instance. During the Protestant Reformation which unfolded in the early 16th century, there was a bloody civil war in Denmark. 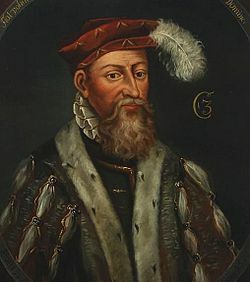 From 1534-1536, King Christian III, who adopted the Lutheran faith, fought against his uncle, King Christian II, a Catholic, in a bloody conflict known as the War of the Counts, where thousands were killed. Christian II came out on top and Lutheranism became the official state religion. Catholic Bishops were forced to convert or face prison. Conflict with Sweden continued and was marked by an especially humiliating surrender in 1660 with the Treaty of Copenhagen. Then, just over 150 years later in 1814, Denmark was forced to surrender Norway to the Swedes. Denmark was able to retain control of the Faroe Islands, Greenland and Iceland. Iceland then declared independence in 1944 during World War II. In 1849, King Frederick VII granted freedom of religion and thepress under a new constitution. Then, in 1864, more land was lost when the Treaty of Vienna gave control of the Duchies Schleswig and Holstein to Germany. 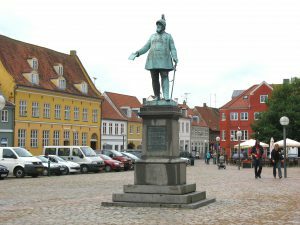 The 19th century was a golden age for Denmark. As freedoms became established, great minds and talents such as the writer of fairy tales, Hans Christian Andersen, the philosopher Søren Kierkegaard, and the sculptor Bertel Thorvaldsen made their mark. In 1915, Denmark adopted a more democratic constitution and gave women the right to vote. It remained neutral in World War I, but was then occupied by the Germans in 1940 during World War II. Originally Denmark did not offer much resistance, but that changed by 1943 at which point the Danish fleet and army were defeated by German troops. In 1945, with the end of the war, the Marshall Plan helped get Denmark on its feet again. Having joined NATO in 1943, Denmark hesitantly joined the EU in 1973, but voted not to adopt its currency, the Euro. 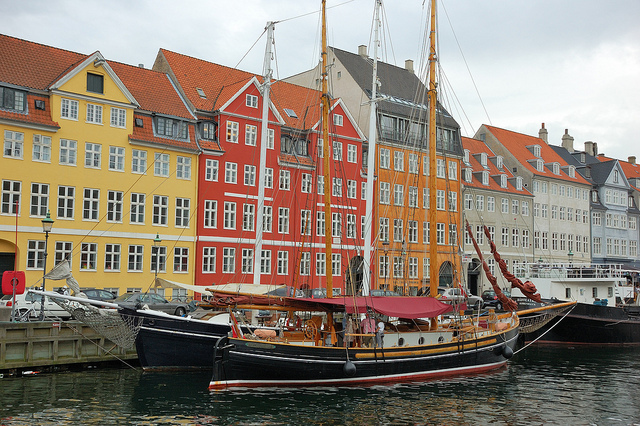 Today, Denmark is often praised as one of the most civilized and happy places on earth. It is quite ironic considering the small nation’s turbulent past. A constitutional monarchy, civilized Denmark’s Queen Margrethe II can trace her lineage back to the Viking Kings Harald Bluetooth and Gorm the Old.